Offers a lifetime frame and motor warranty. Features TRUE Soft System for added comfort and less joint stress. A quiet machine without lacking the power. Has a 4 Horsepower motor for a stronger workout. 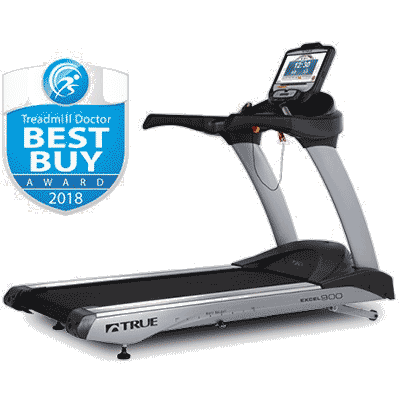 The TRUE Excell 900 was awarded “Best Buy Award” from the Treadmill Doctor and “Best Premium Treadmill Award” from Readers Choice. 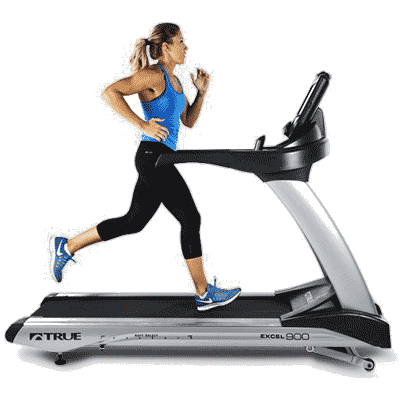 The Excell 900 treadmill features a quiet and comfortable workout with TRUE Soft Select with customized deck cushioning and TRUE Soft System that helps to reduce joint stress. The Excell 900 has a workout range from 0.5-12 MPH and a -3%-15% incline range, increasing the workout to reach any fitness level. The frame construction is robotically welded heavy gauge steel with extended, rubber and moisture resistant handrails. The Excell 900 features quick access controls located on the hand grips which can increase speed and incline without stopping the workout. This treadmill has many regulatory approvals and features extra safety such as a safety clip, extended handrails and large straddle covers. 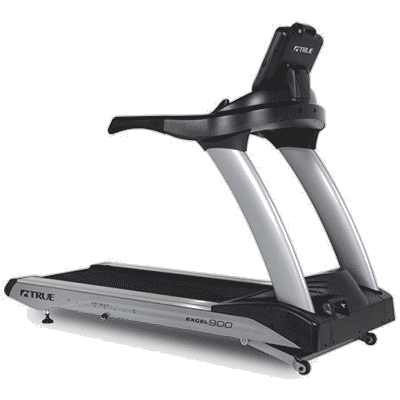 The Excell 900 treadmill has a water bottle holder, an accessory rack and a reading rack/tablet holder. This machine is “Polar Compatible” for wireless heart monitoring, offers contact heart rate monitoring, TRUE Soft Select adjustable impact, a reversible deck, 4 HP motor, and an orthopedic belt. It offers a residential lifetime frame warranty, a lifetime motor warranty, Transcend 16 console, 3 years, Transcend 9 console, 10 year parts, 2 year labour warranty.